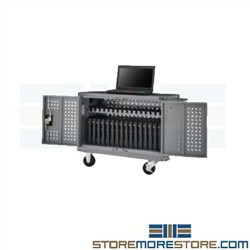 Mobile device charging cabinets are designed to keep phones, laptops, and tablets stored securely and charged. Its durable all steel construction and reinforced locking doors secure stored electronics while perforated sides provide ventilation to prevent overheating. Ideal for use in offices, retail stores, education, and more. 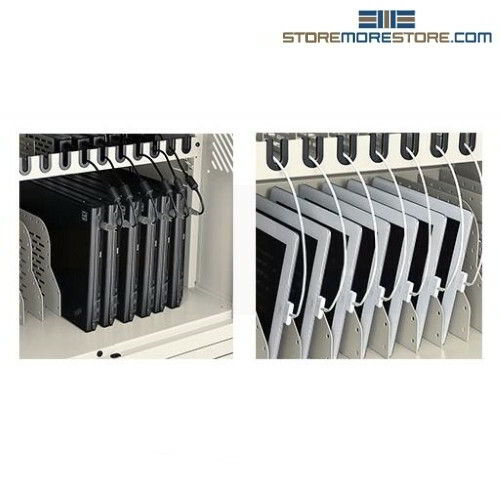 Protect expensive electronics, phones, Chromebooks, iPads, laptops, and tablets from tampering and theft while keeping them charged and ready to go. These charging carts are made with an all steel construction and perforated sides that keep electronics secure while preventing overheating. 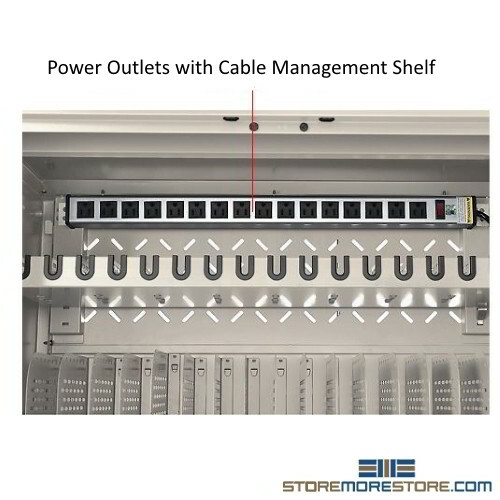 Power strips have vertical outlets to prevent adjacent outlets from being blocked by wall chargers.